Cologny, Fondation Martin Bodmer, Cod. 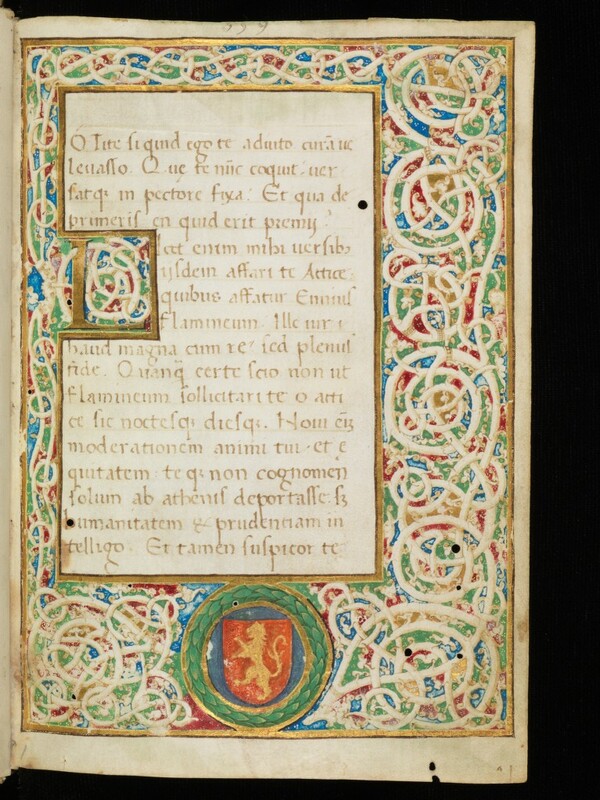 Bodmer 50: Cicero, De senectute, De amicitia, Paradoxa ad Brutum; Ps. Cicero, Synonyma (http://www.e-codices.ch/de/list/one/fmb/cb-0050).